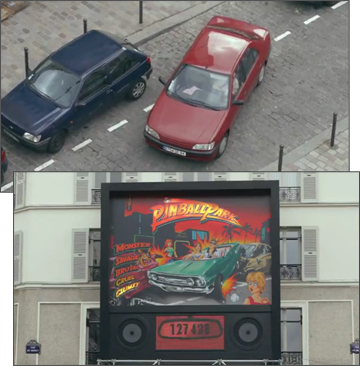 On March 21 a clever bit of experiential marketing by Tic Tac had residents of Rouen, France literally dropping in the streets. The promotion states that ‘the breath of a polecat, hyena, jackal or goat can do more damage than you think. 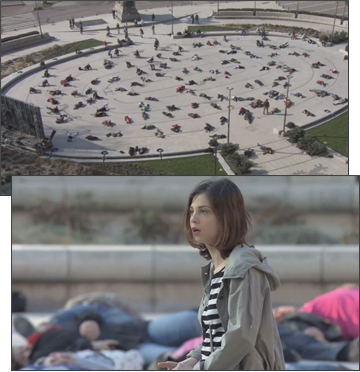 Several unsuspecting people were approached for directions, when they responded the entire square full of people began to collapse. You can see the instant shock and disbelief on people’s faces as they find themselves at the centre of a scene like something out of a horror movie. As a video begins to play on a screen that showing others in the town also fainting (some in quite spectacular ways), they begin to realize that the joke is on them. The ‘Worst Breath in the World’ campaign comes from Ogilvy Mather Paris. Next time you’re down in the subway waiting for your train to come, consider how comfortable it would be to live there for a week. Well, that’s exactly what IKEA France is doing for five people in a Paris subway station starting on Monday. 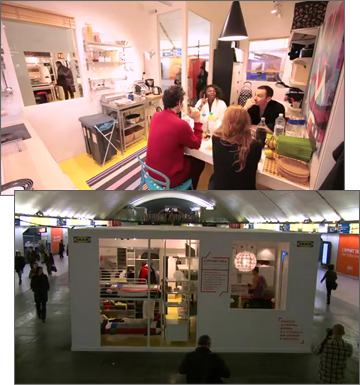 Roommates Jeanne, Audrey, Anis, Lucie and Benjamin will be living in public all week in a specially built 54 square meter apartment constructed on the subway platform at Auber Station.The 5 will demonstrate how IKEA can optimize a small space and make it a comfortable living space for anyone. Each day the highlights of their adventures will be posted at YouTube. The campaign was created by Paris creative agency Ubi Bene.